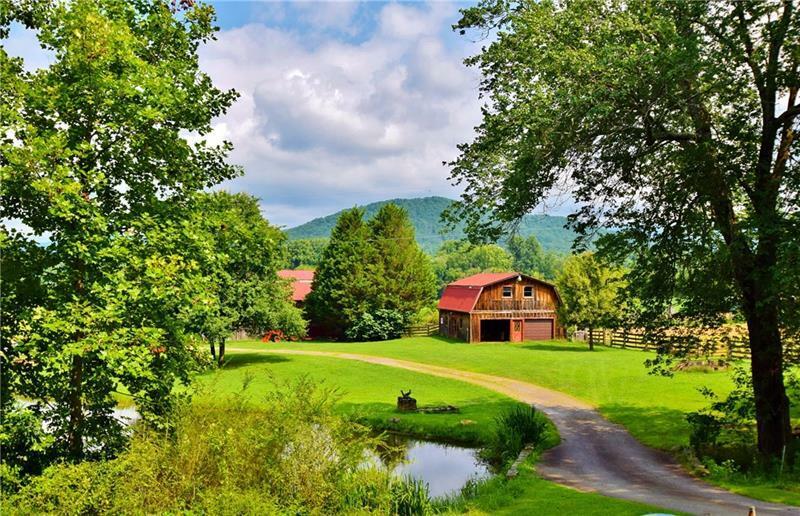 Prettier than a postcard, this idyllic valley farm is set against a backdrop of the Blue Ridge mountains and bordered by over 2800 feet on beautiful Sautee Creek. 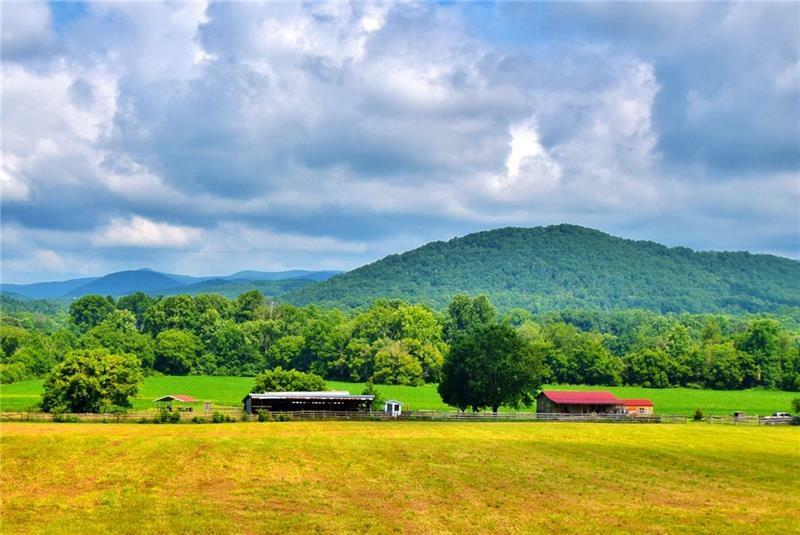 The farm has a privately situated, custom built, five bedroom home with stone accents, a stone fireplace, a screened porch with mountain and valley views plus a finished terrace level with a 2nd kitchen area. 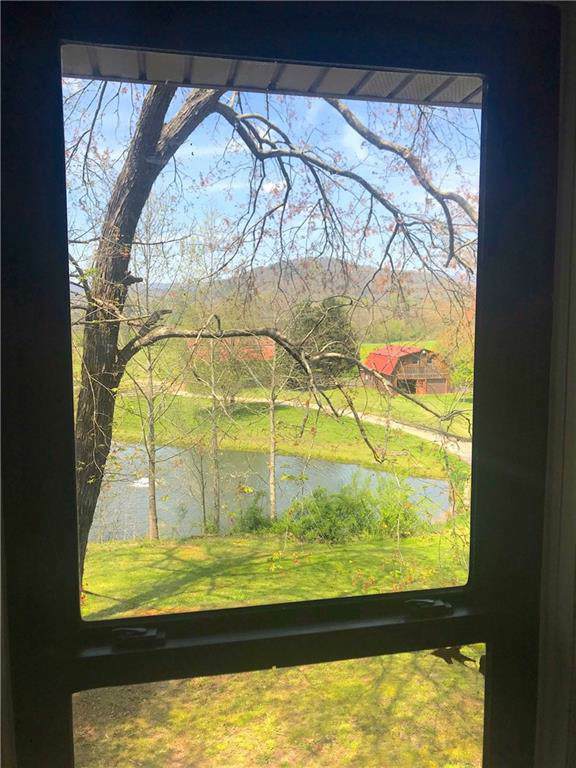 The cozy guest/caretaker home, also with mountain views, has two bedrooms. 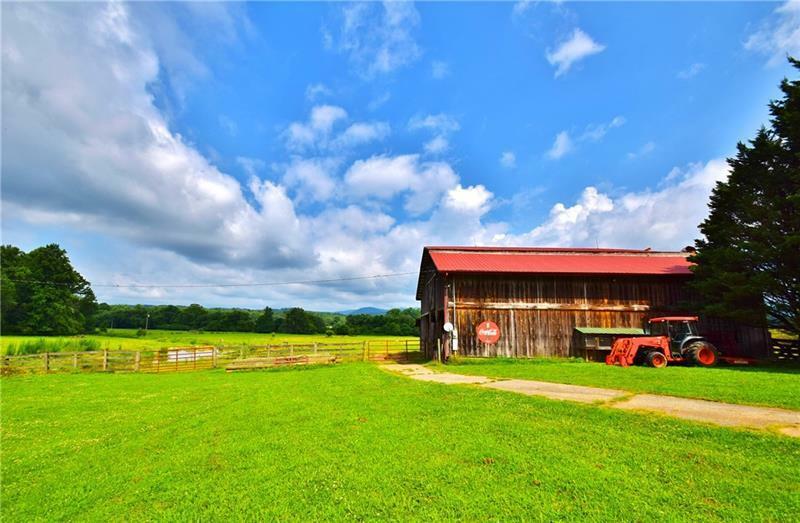 The farm is fenced with a large barn, outbuildings, and two ponds. Currently a working livestock farm. Long road frontage.